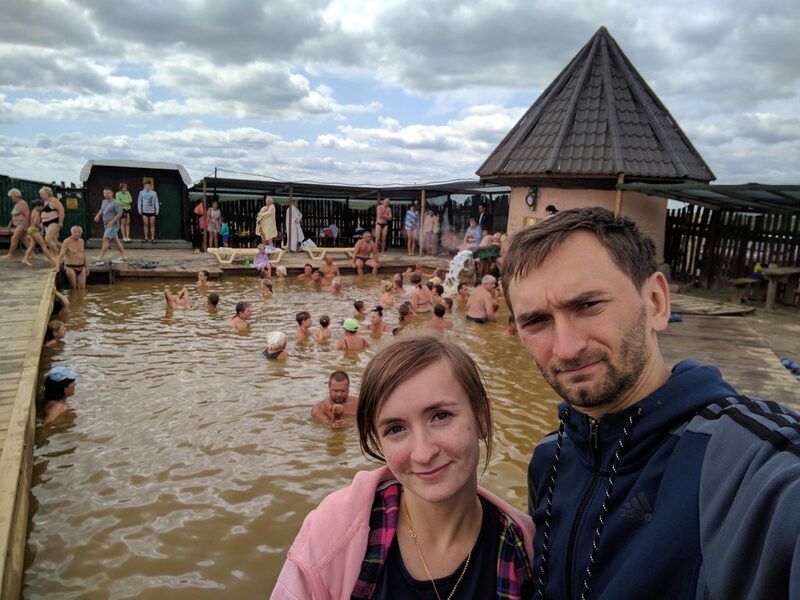 There is a unique place in Ukraine – the healing thermal geyser “Hot Spring”. 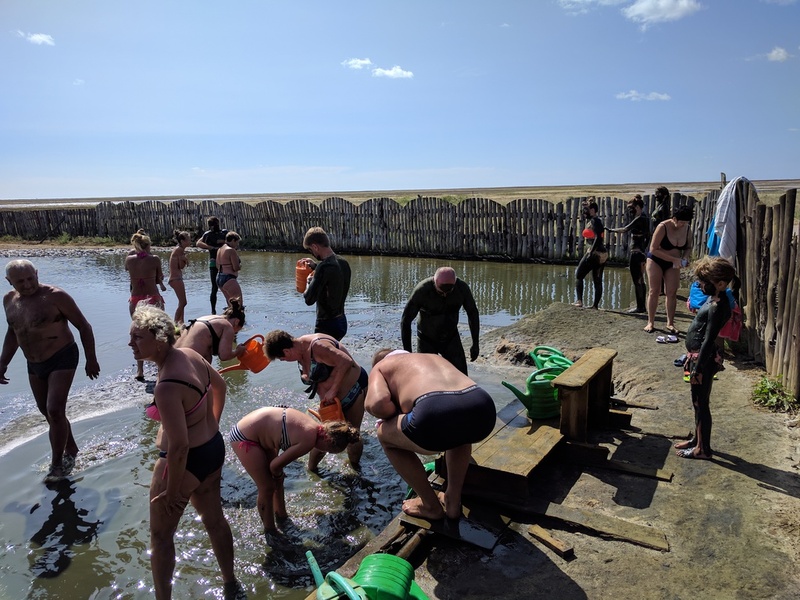 It is located near the village of Obloi (Golopristansky district, Kherson region), 30 km from the beach resort of Zheleznyi Port. The geyser was discovered back in the 1970s while drilling wells at a depth of more than 1,500 meters for geological exploration of a natural gas field. 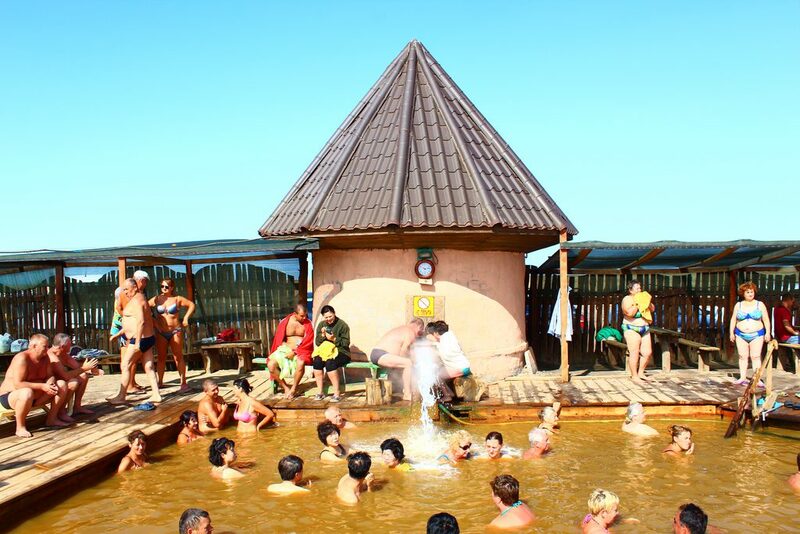 But only in the summer of 2005, the Hot Spring geyser was equipped in a bathhouse for the general use of all visitors. 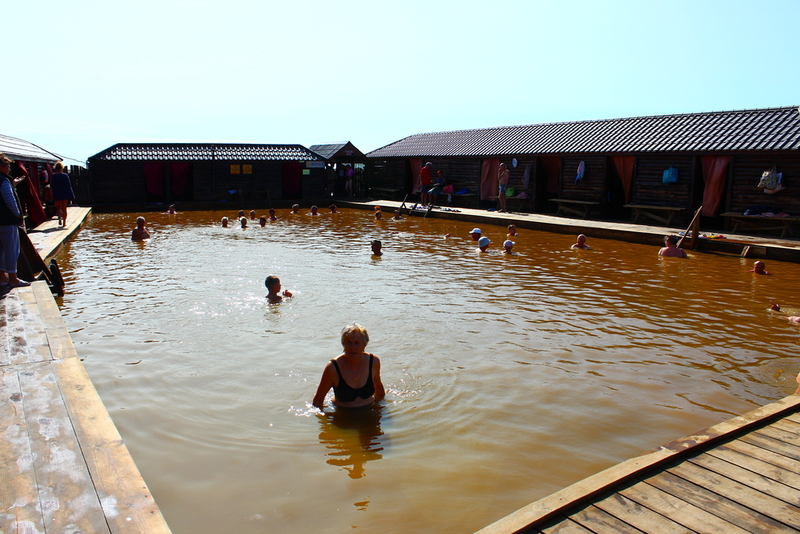 On the basis of the spring there were equipped swimming pools, where people take healing baths now. Entry to the territory of the baths. Mineral water comes to the surface from a deep well (1 527 meters). At the exit, it reaches the temperature of about 65-70 degrees. 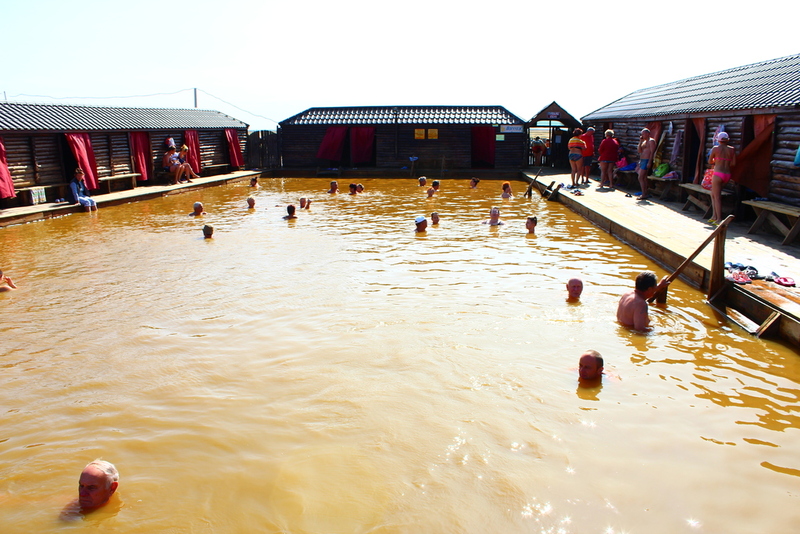 There are two pools with warm water (about +40 C) on the territory of the baths. The temperature varies with the distance to the spring. The depth of the pools is approximately 1.20-1.40 m. The water is yellow-brown due to the high level of iodine, bromine and boron in it. We do not recommend to use the bath accessories and towels of light color here, because the yellow-brown color of the water leaves spots that are difficult to wash. There is a peculiar smell because of the boron and bromine content, therefore it is forbidden to stay in water for a long time, as it is harmful for the health: dizziness and sickness can appear. 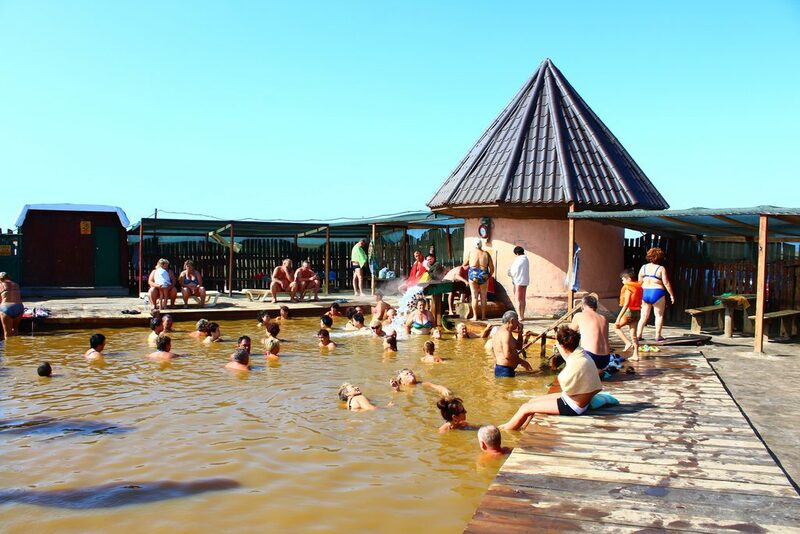 Recommended duration of the stay in the thermal spring: about 15 minutes with a break of about 15-20 minutes. You can find some rooms near the pool, where you can leave your clothes, but they can be hidden only behind the curtain, as there are no locks. Here you can have massage for an extra charge. 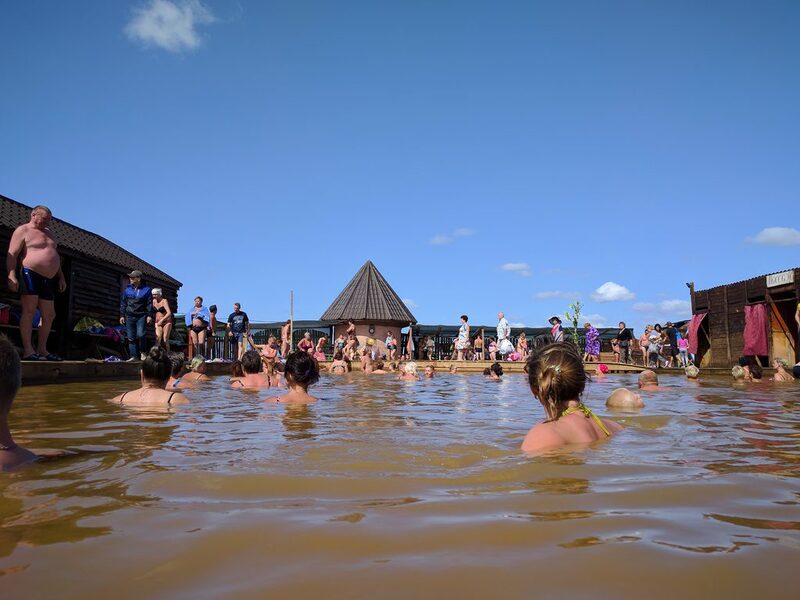 Also there is a mud lake on the territory of the baths. It is separated from the pool area by a fence. Its mud has a healing effect on the joints. Baths are open for visit all year round. 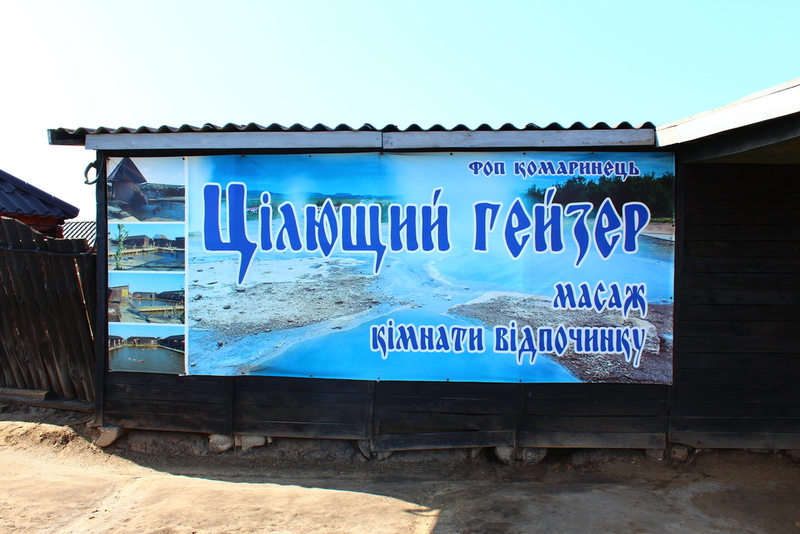 You can come here even in winter to warm your bones and the stay in the thermal pools will be quite comfortable. Children and youth, as well as grandparents have their rest here. 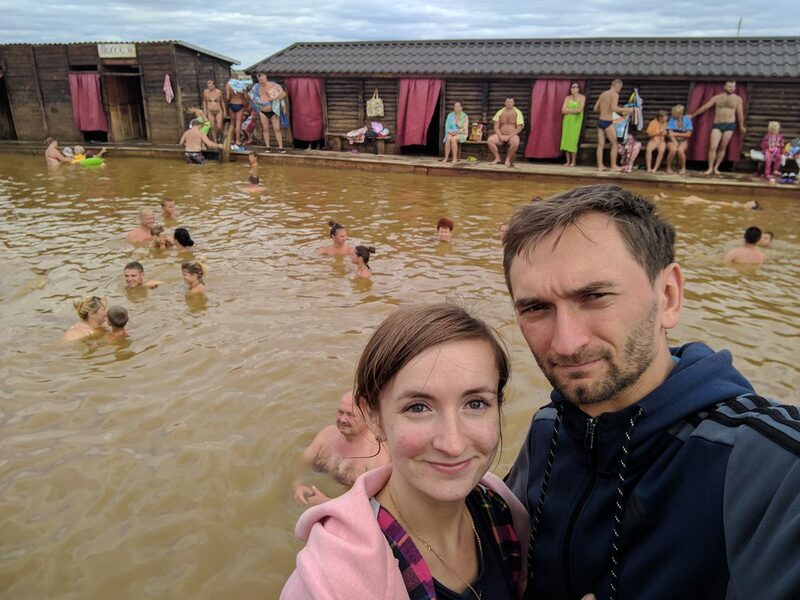 People visit the geyser from the nearby beach resorts (Zhelezny Port, Skadovsk, Lazurny) and also from abroad (Belarus, Germany, China, Hungary, Poland, Bulgaria) just for rest and for treatment of joint diseases, thyroid gland, respiratory and nervous systems. We recommend to take snacks and beverages with you, because after swimming you want to eat very much. The price for entry into the baths depends on the duration of stay: approximately 100 UAH (4 USD) per 2 persons per couple of hours. The Hot Spring thermal geyser is an interesting and precious for health unique place, but we want to note that the infrastructure is not well equipped: there is a toilet “in the yard” outside the territory, there are very few showers, there are no storage rooms for private stuff, there is no cafe (only a small snack kiosk), the road to the geyser is not of the best quality. 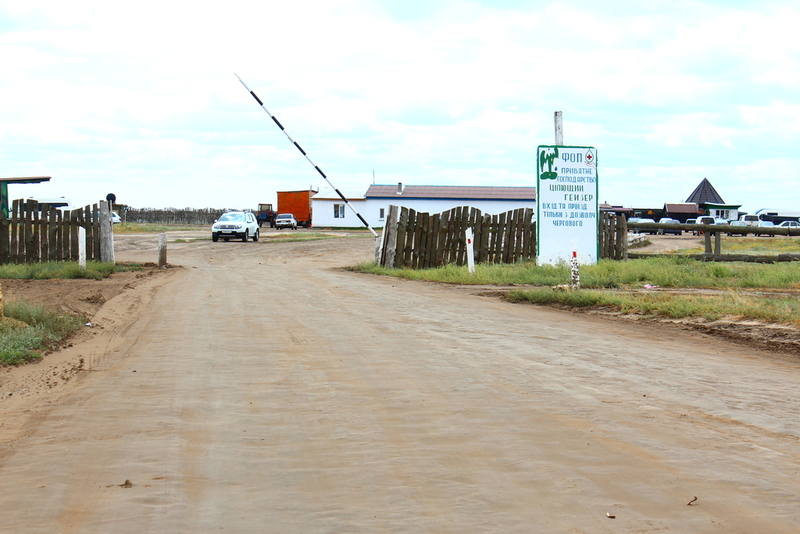 We hope that the infrastructure of the geyser will change for better. But anyway, it is worth to come here for a couple of hours to experience the healing effects of the baths, it’s just nice to warm up and swim in hot water.